DCI Parents: What's the Cost? The cost of participating in a DCI-affiliated corps varies group-to-group. For World Class participation, the costs are likely higher than those of an Open Class corps, mainly due to a more extensive travel schedule. Regardless, each corps independently sets its own tuition and fee schedule. 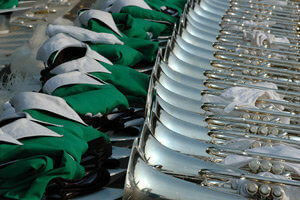 Drum Corps International has no role in determining or regulating the tuition and fees corps charge. The basic cost of participating in a DCI drum corps is the annual tuition. The corps often call this a "tour fee" or "dues." In keeping with the educational component of Drum Corps International's mission, the annual fee the students pay the corps is referred to as tuition. The tuition amount varies but generally covers instruments, equipment, uniforms, instruction, facility rental as well as transportation, food and housing during the tours. 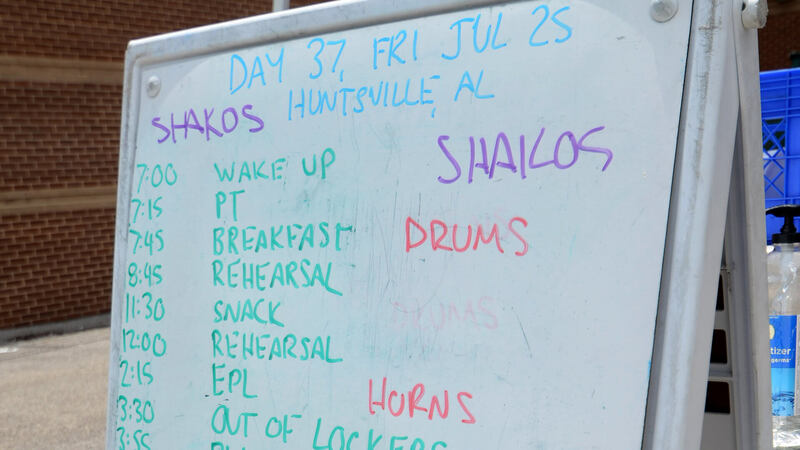 Depending on the corps, there also may be costs associated with off-season auditions and camps. Members may be responsible for some specific equipment and uniform costs as well, such as rehearsal clothes, gloves, valve oil, shoes, socks, hat plumes, etc. Expect your student's group to provide a list of all costs specific to that corps. 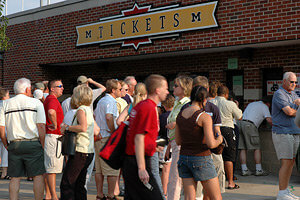 Considering the cost of a two- or three-day travel trip with a high school marching band to perform at a national parade, or a two week-long summer sports camp can run upward of $1,500 or more, keep in mind that tuition with your son or daughter's drum corps will include travel, food and housing over the course of more than 60 days during the summer! Corps will sometimes adjust their student tuition and fees based on the success of their fundraising activities. Corps with strong fundraising capabilities may have lower tuition and fees. Conversely, some corps rely more heavily on student tuition and fees than others. Check with the corps in which your student is interested for specific tuition and cost information. How Do Corps Raise Money? Although the appearance fees and allowances nationally touring, World Class corps collect from Drum Corps International are relatively equal, in reality these fees make up a minor part of the total budget of any corps. As an estimate, the fees and allowances from DCI account for only about 10 to 15 percent of a top-tier corps' total operating budget. The rest of a corps' operating budget comes from other sources, such as student fees and tuition, corporate sponsorships, merchandise sales and various fundraising activities. Corps set student tuition based on a variety of factors, including how much money they raise from other sources, the demand for positions in the corps and other market factors. For other groups, tuition can account for as much as 50 percent of the overall operating budget of the corps. Top groups typically look for tuition to cover only 25 to 30 percent of the overall operating budget. For many DCI member corps, participation is akin to an intense experiential training course on how to organize and teach the marching arts. Considering more than 60 percent of the students participating in DCI's World Class corps are college-level arts and music majors, their participation may more properly be viewed as an extension of their college education. Some corps even have arrangements with universities and colleges in their area to grant college credit for participation. Why Do Costs Vary Among Corps? 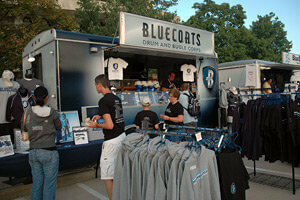 Drum corps affiliated with Drum Corps International are independent organizations, not owned, operated or managed by DCI. Each corps is responsible for its own financial and managerial health. Costs vary between corps because each corps makes its own decisions regarding how much it spends and, subsequently, how much revenue it needs to generate. Some corps spend less money than others and may therefore find themselves in a position to offer lower tuition and fees. Other corps may have effective fundraisers that can help keep tuition and fees down. Still others may have a a large pool of applicants, allowing them to charge higher tuition and fees. The money paid for tuition goes to pay for instruments, equipment, uniforms, instruction, and facility rental, as well as transportation, food, and housing during the tour. The corps pays the instructors and teachers and has to pay for housing and practice facilities. The tuition also covers the costs of operating or leasing transportation (buses and equipment trucks). If there are certain items not covered by the basic tuition, the corps usually makes that clear during the audition process. A corps may also require money to fund its operations, which can include office and administrative costs. How Do Students Raise Money to Pay Their Fees? Annually since 2006, Drum Corps International conducts a series of surveys and interviews with corps members titled Project Persona. One issue included in that research is how student performers pay for participation in their corps. In the most recent study, covering approximately 2,000 students, the four most popular means included financial assistance from parents, savings, part-time job and corps-supported fundraisers. Other typical sources of funding include sponsorship (sponsorships normally happen when the corps refers the student to an alum or other interested party who pays some portion of the student's tuition. ), general donations/fundraising websites, scholarships and student loans. So What Does It Really Cost To Participate? During the most recent Project Persona study, a series of questions relating to the total cost of participation were asked, which would include not only the direct—tuition and fees—but also the supporting costs incurred during the year like travel to camps and rehearsals, food, other travel expenses, laundry money, etc. The average cost for a performer to be in a World Class corps is approximately $3,900, with approximately $2,400 of that attributed to tuition and fees. The average cost for participation in an Open Class corps is approximately $2,200 with $1,500 of that attributed to tuition and fees. One of the largest contributing factors to higher total cost of participation is the cost of travel to off-season rehearsal camps. 40 percent of World Class corps members report travelling more than 500 miles to participate with their chosen group.